In The Meaning of the Body, Mark Johnson continues his pioneering work on the exciting connections between cognitive science, language, and meaning first begun in the classic Metaphors We Live By. Johnson uses recent research into infant psychology to show how the body generates meaning even before self-consciousness has fully developed. From there he turns to cognitive neuroscience to further explore the bodily origins of meaning, thought, and language and examines the many dimensions of meaning—including images, qualities, emotions, and metaphors—that are all rooted in the body’s physical encounters with the world. Drawing on the psychology of art and pragmatist philosophy, Johnson argues that all of these aspects of meaning-making are fundamentally aesthetic. 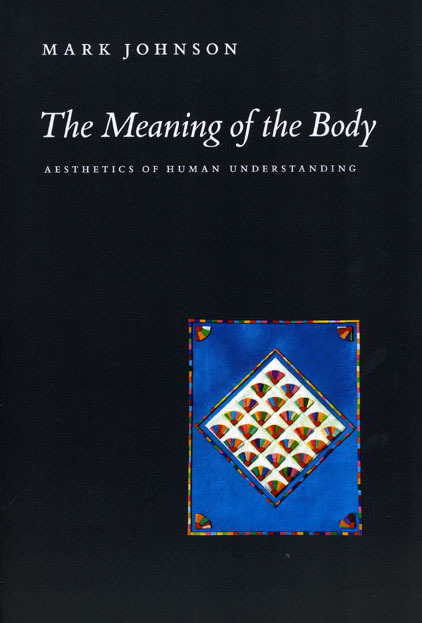 He concludes that the arts are the culmination of human attempts to find meaning and that studying the aesthetic dimensions of our experience is crucial to unlocking meaning’s bodily sources. Throughout, Johnson puts forth a bold new conception of the mind rooted in the understanding that philosophy will matter to nonphilosophers only if it is built on a visceral connection to the world. "This book continues a lively and interesting debate about the nature of human beings and their awareness of themselves and the world around them." "A courageous and ultimately successful book. Not only does Johnson attack a number of problematic core assumptions in analytic philosophy of mind and cognitive science, but he moves beyond them to offer an insightful theory of how we can still talk meaningfully about meaning. For any philosopher interested in philosophy of mind, language, or aesthetics, this book has a number of important lessons about how these disciplines are in need of revision." "This fine book is a welcome extension of Mark Johnson’s important research about the embodied nature of mental life. It is energetically argued, clearly written, well-structured, admirably wide-ranging, and impressively well informed with respect to current theories in neuroscience, linguistics, and cognitive science. It is also enriched with artistic examples and reinforced with the personal passion of earnest commitment to making philosophy relevant to life and to fostering aesthetic values." "Johnson has laid out the foundations for a theory of meaning which has the potential to unite the purposes and preoccupations of certain strands from both analytical and continental philosophy. . . . This is not to suggest that Johnson retreats from commitment to any one position: quite the contrary. Well-entrenched approaches to a number of philosophical problems are upended. . . . This book should be of intrest to all philosophers as it attempts to reconnect analytical philosophy with lived experience."